Even though the premiere of Game of Thrones Season 8 isn’t set to arrive until 2019, the rumor mill is swirling. With the news that GOT has wrapped filming forever, many Game of Thrones faithful have taken to forums like Reddit to commiserate and share the latest spoilers and rumors. 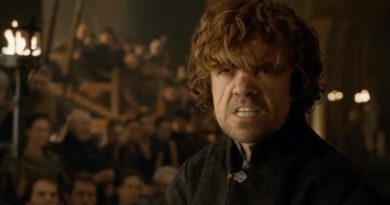 Even though the r/freefolk subreddit has been a gathering place for GOT fans for many years, there’s something extra at play with the knowledge that the end is near. 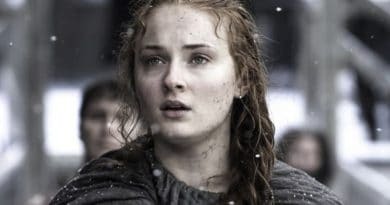 Stay current on the latest Game of Throne spoilers by following Soap Dirt on Twitter and liking us on Facebook! Rumored Game of Thrones spoilers for entire final season! 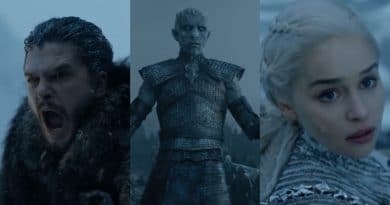 The latest spoilers shared via the Free Folk subreddit provide a detailed guide with bullet points for each episode of the final season of GOT. The condensed version of the first episode points to the fact that just about everyone (including Jaime) heads to Winterfell. Someone needs to defend it, after all, now that the wall has come down. The spoilers/rumor indicate several reunions, including a not-so-cheerful one between Theon and Yara. Theon apparently finds Yara as she is a prisoner at the Red Keep in Kings Landing. In typical Theon fashion, he fails to rescue her and is imprisoned alongside her instead. On a much happier note, Jon and Arya reunite in Winterfell. 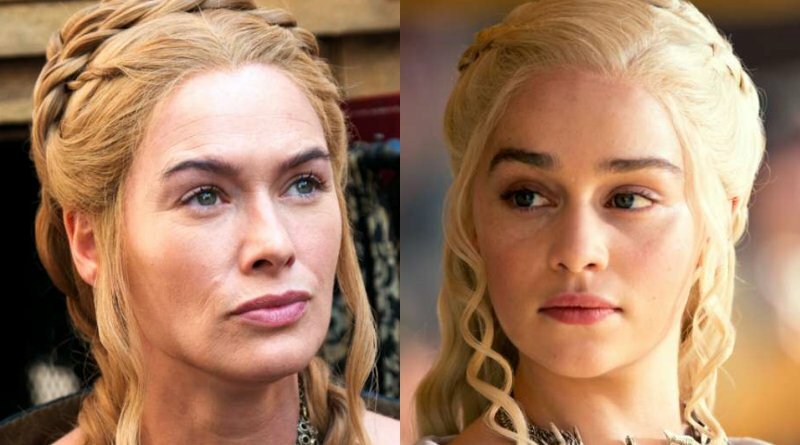 Since everyone hates Cersei, her miscarriage might not be sad to anyone but her. Even without confirmation, it’s not hard to guess this one. In true George R.R. Martin fashion, someone kills someone else only to die at the hands of another. Jaime kills Cersei. Jaimie gets killed by The Mountain. The Mountain is defeated by The Hound and Brienne. A poetic Whack-A-Mole of death. At least according to the “spumor” (spoiler + rumor) making its way around Reddit. Without going into every single bullet point, let’s say that just about everyone dies, as expected. The carnival of death continues, leading up to the battle of all battles. The Battle Royale. The Primus. The final showdown with the Night King. If the rumors prove true, the scope of this is going to be the stuff of legend. The production value for Game of Thrones has increased year after year, and if there was ever a time to go all-out, this would be it. All the cards are on the table. All the pieces are in place. Valar Morghulis. Dany has become one of the most inspiring characters in GOT, not just as part of the show, but as a pop culture phenomenon and a symbol of female empowerment. That said, if these leaks prove true, it only makes things that much more devastating. Both Jon and Dany survive the battle with the Night King. Dany and Jon become King and Queen of Westeros, marrying in front of the survivors. Nothing could go wrong, right? Because this is George R.R. Martin, and because this is Game of Thrones, it wouldn’t be right for them to let us off the hook with a Hallmark happy ending, would it? 2 times when Jon pledged loyalty to Dany as his Queen, she was so open and vulnerable about herself and her real feelings. Heart eyes everywhere. ? "I hope I deserve it." With everything that Dany managed to survive up to this point, spoilers suggest that she meets her end giving birth to a son, Eddard Targaryen. This seems like a classic case of “The surgery was successful, but the patient died.” How ironic, though, that the Mother of Dragons finally gives birth to her own child, only to die in the process. On the plus side (if one can call it that at this point), Arya decides to go west of Westeros and The Hound accompanies her. Perhaps she won’t kill him after all. Do you think there is any truth to these rumors? It’s a detailed roster but whether it comes to fruition remains to be seen! Come back to Soap Dirt for the latest Game of Thrones spoilers and news.